Did you know that the Greenland ice sheet is the second largest ice body in the world, after the Antarctic Ice Sheet? The Greenland ice sheet is approximately 1,500 miles long and 680 miles wide, with a thickness of 1.2 – 1.9 miles. If all the freshwater ice trapped in the Greenland ice sheet were to melt, scientists estimate that sea level would rise about 20 feet. This amount of sea-level rise would probably spell disaster for New Orleans, parts of New York, and other low-laying areas and islands. In fact, Greenland is now experiencing an average net loss of about 303 billion tons of ice every year. 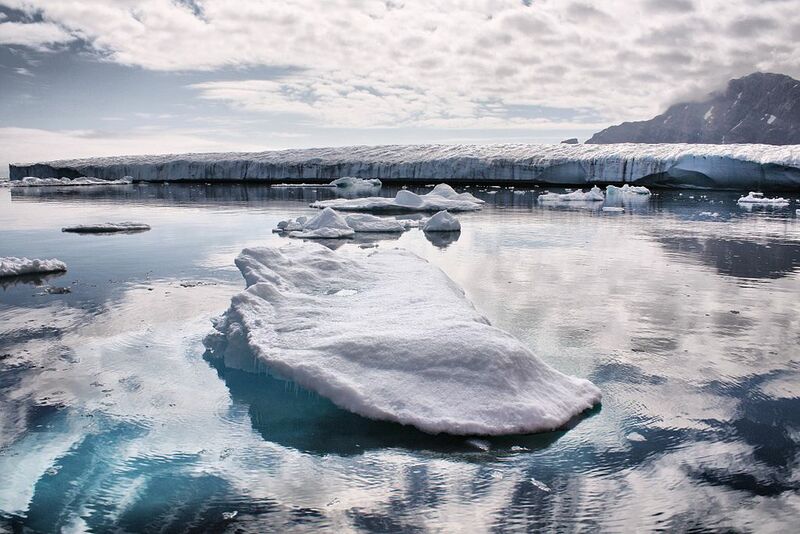 Scientists have studied the impact of the planet’s warming on the Greenland and Antarctic ice sheets. While satellite images can track the icebergs that break off, and can help create models to simulate the thawing, on-the-ground information would help make more precise predictions about how fast sea levels will rise and thereby help people in coastal areas around the world plan for the future. Each year, the federal government spends about $1 billion to support Arctic and Antarctic research. Agency officials from the National Science Foundation, NASA, and the National Oceanic and Atmospheric Administration, say the research is essential for understanding the changes that will affect the world’s population and economies in the years and decades to come. The New York Times recently published a series of articles on the Greenland ice sheet, and the on the scientists who work in there. Check them out! New York Times reporters Coral Davenport, Josh Haner, Larry Buchanan and Derek Watkins provide an profile of a research team on the Greenland ice sheet, including some breathtaking aerial drone footage. Jon Gertner of The New York Times reports on the melting Greenland ice sheet. Josh Haner of The New York Times provides a stunning photojournalistic essay describing the work of environmental scientists studying climate change in remote locations in Greenland.